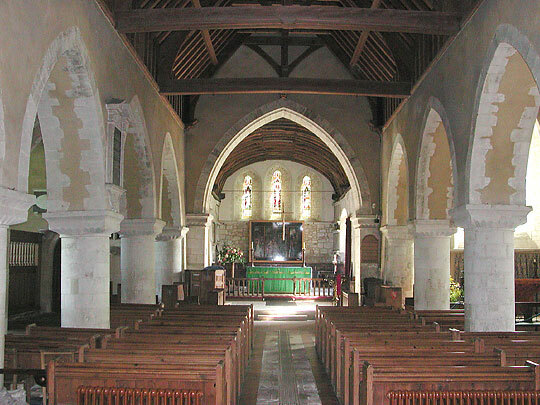 The core of the church, the nave and arcades, are Late Norman of c.1180 - see interiors below. 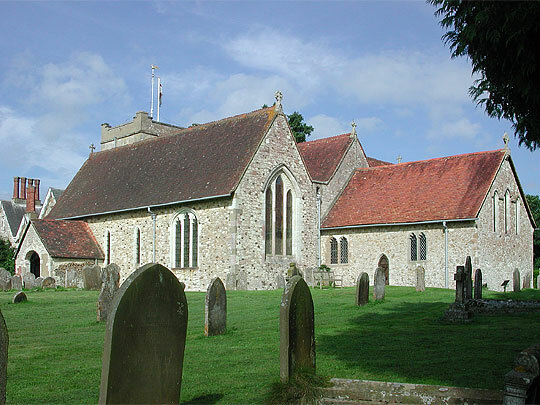 The chancel is originally 13th century Early English. 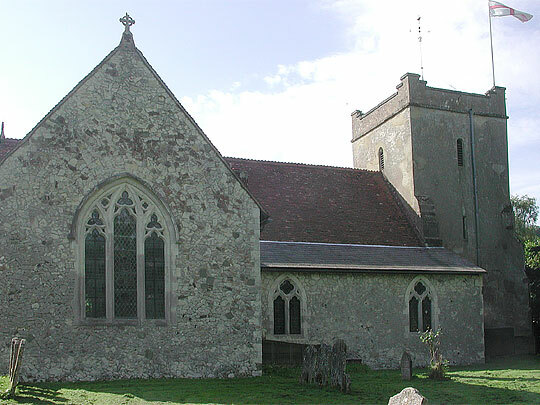 The north transept dates originally from the late 13th century; the north window frame is original but the Decorated-style window itself is 19th century. 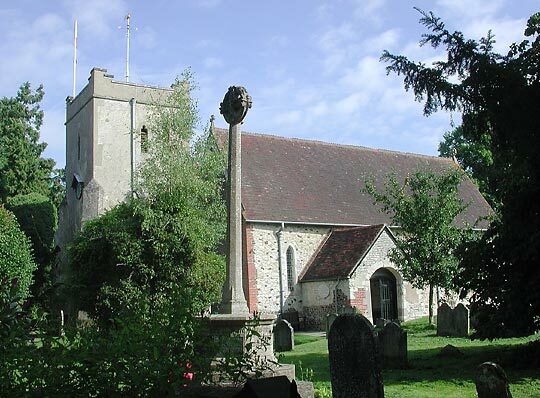 The tower is probably of the 17th century. 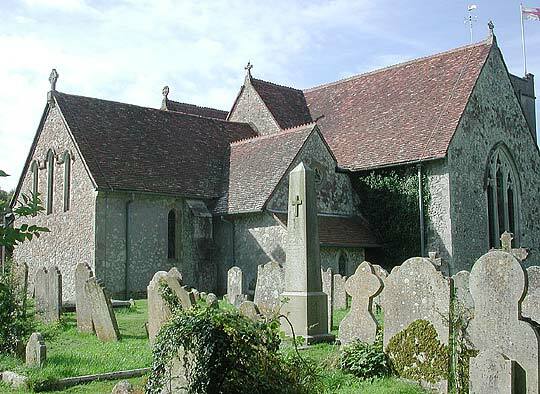 In 1856 there was a good deal of restoration by William White, a great-nephew of Gilbert White. 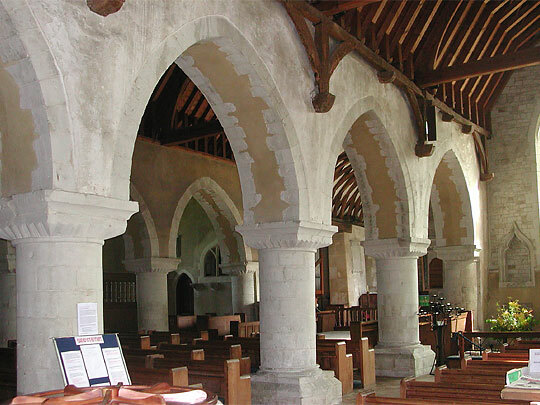 Impressive Norman arcades of four bays. 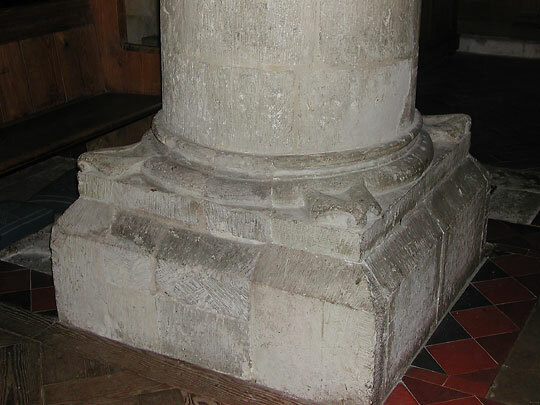 Round piers, square abaci, multi-scalloped capitals, unmoulded pointed arches. It is a Hampshire problem. How late square abaci, how early pointed arches? 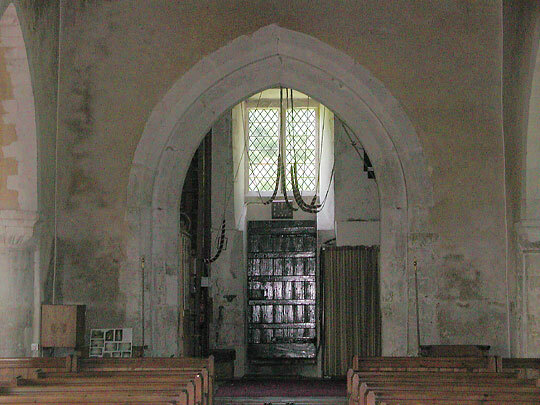 The chancel arch, the chancel E wall, and much else is by William White, 1856. 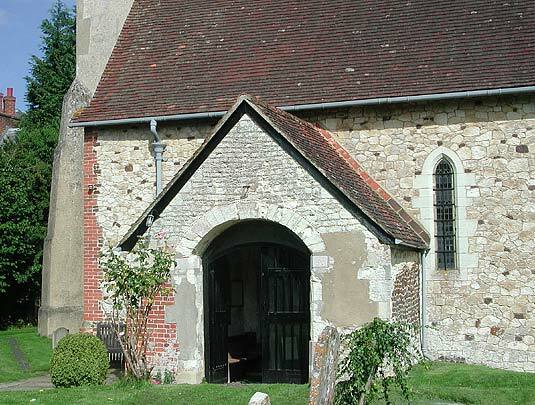 He replaced the earlier two lancets in the east wall with three. Carvings at base of north piers (but south are plain). 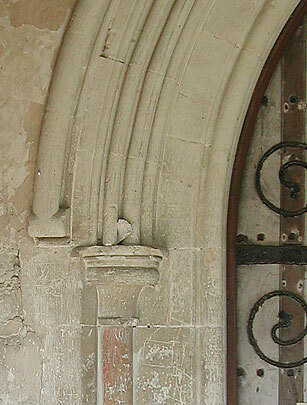 The tower arch is Perpendicular. 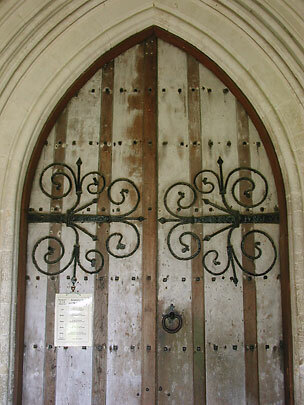 South door in porch, 13th century. 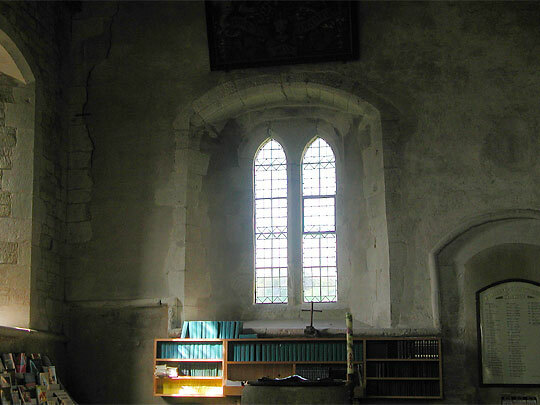 South aisle with Gilbert White memorial window from the 1930s. 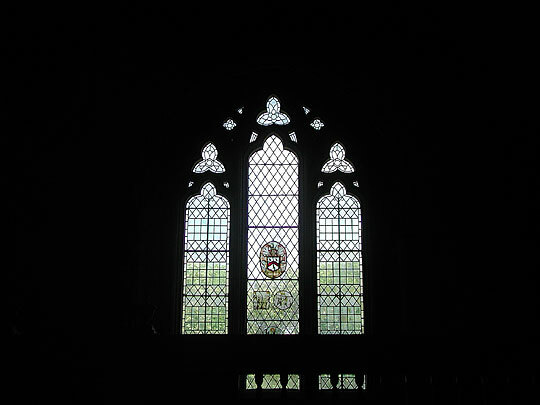 North window in north transept, 19th century. 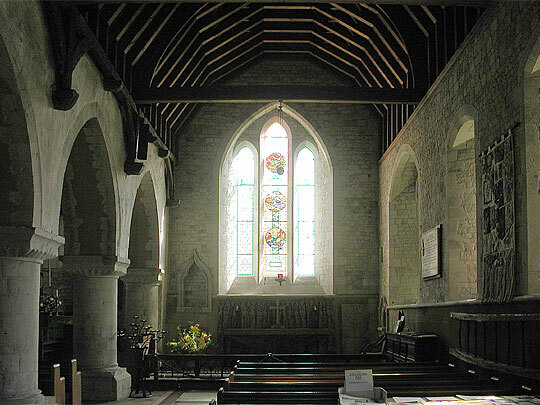 The roundels within the plain glass are are of the 16th and 17th centuries. Outstandingly good Flemish triptych painting of c.1520. In the centre the Adoration of the Magi, on the wings donors with St Andrew and St George. 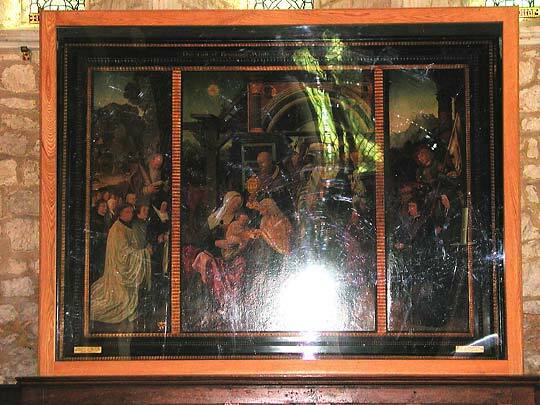 The painting has been attributed to Mostaert. 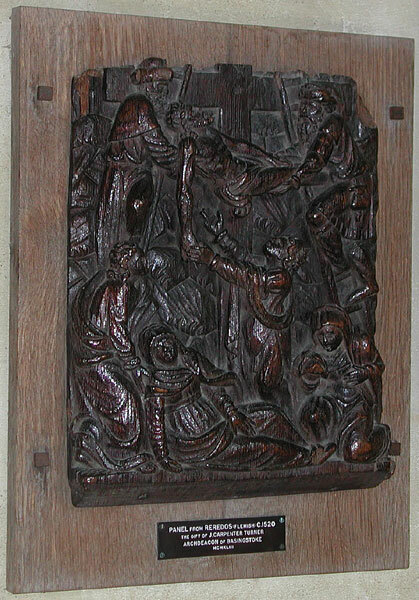 Small relief of the Descent from the Cross; Flemish, c.1520.